There are no. of ways being within the purview of the Indian income tax act for salaried individual to save taxes. u/s. 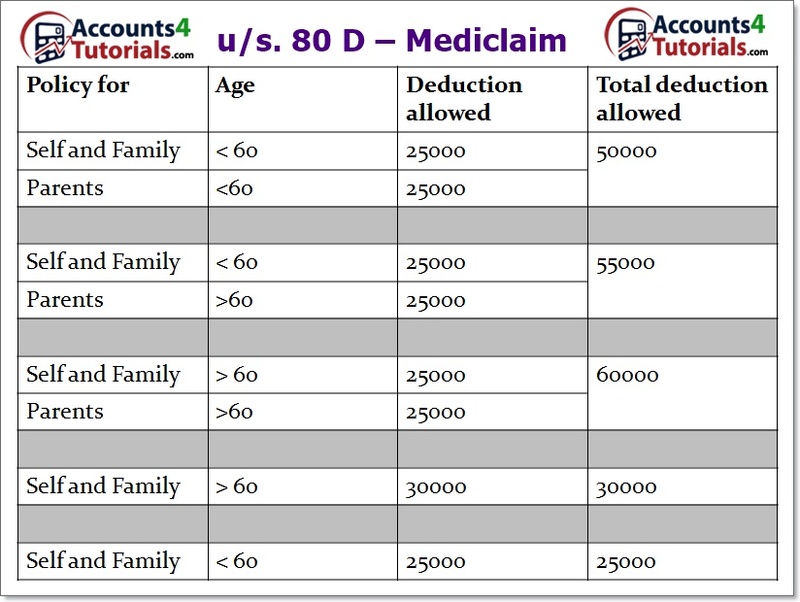 80D, An individual is allowed claim deduction on expenditure if a premium is paid towards mediclaim policy for self & family and mediclaim policy for parents. Under Rajiv Gandhi Equity Saving Scheme (RGESS) you are allowed to invest in direct equity share or eligible MF scheme. I am interested related income tax planning. This article credit goes to Mr.Ankit Taprania. 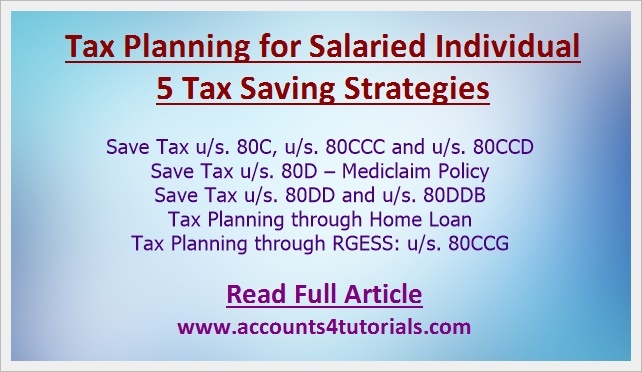 We will update more article on Income Tax planning.